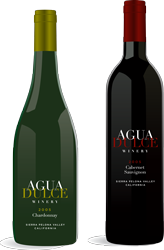 Agua Dulce Winery Wine Club offers many levels of benefits! We offer both a Gold Club Membership, which is 50% discount on our award winning wines, or a Silver Club Membership, which is a 30% discount on our award winning wines! Purchase wine each quarter and be entitled to receive the discounts on our wines. Both levels of membership grant members a 10 percent discount on the merchandise in our gourmet gift shop. Be invited to exclusive Cellar and Winery functions. You can choose, red, white or mixed wine in each shipment. There is no fee to join. You can cancel at any time and each quarterly shipment ranges between $70 and $150 dollars. Download our membership form here. and fax to us at 661-268-7450.